We are International Share House. You can meet people from all over the world. We have Creator, Designer, IT engineer… they stimulate your sense and skills. There are students, employee, employer. It is mixed generations. No need to make contract hydro, water, gas, internet…etc No need to buy any furnitures. No need to moving. JUST BRING YOURSELF. No stress to researching internet career, contracting provider, setting router…etc. You can move in from TODAY. If you don’t like your house, you can move other U23 house for FREE. 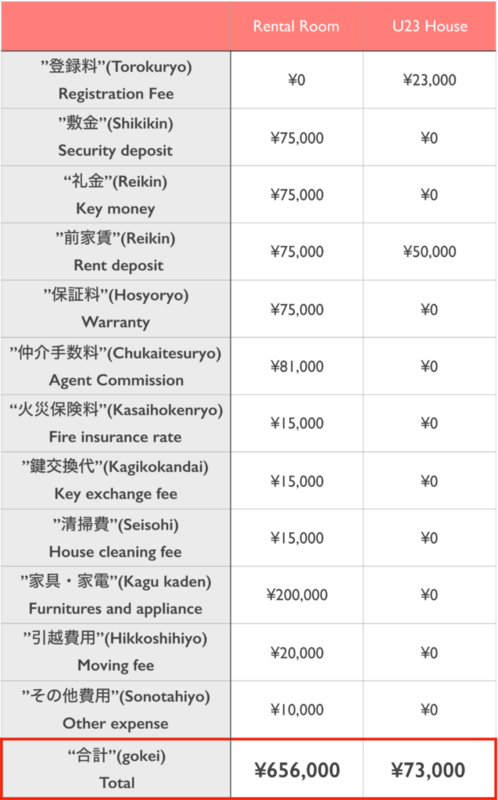 The rental room (¥75,000/month) in Japan, you have to pay “shikikin” “reikin” “chuyukai tesuryo”…etc, it is around ¥650,000 for initial cost. U23 house is only Registration Fee ¥23,000 and one month deposit. 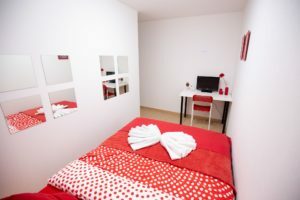 If you want to rent a room have wide living, dining, kitchen in Japan, it cost more than 150,000 rent per month. 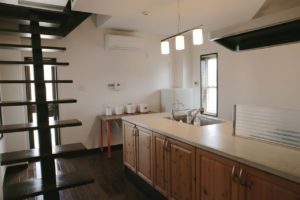 U23 House is start from ¥20,000 per month. 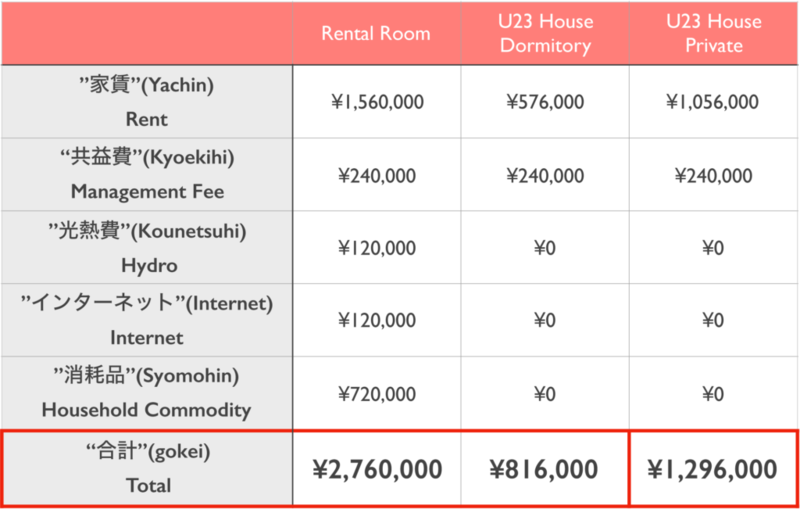 If you move out rental room you have to pay ”iyakukin” Cancel Fee, and you move in another rental room, you have to pay another initial cost. U23 House is no cancelation fee. Our house is for digital native generation. We use futuristic technology and creativity. Sophisticated designed house will give you inspiration. Our house is designed by U23 Design Factory. Not school, not company, U23 House is another community. Our residence and guests are from all over the world. Our share house is not for live cheep but for live with better quality of life. Our house keeping staff clean the common space. Keep clean the room, keep clean your soul. Our house always has bathtub. Enjoy relax bath time. 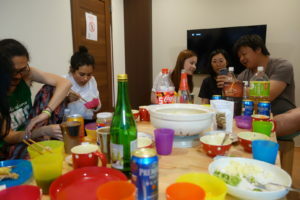 We usually have large living and dining space which is designed as chill out lounge to meet friends. Our house is usually located almost central. You can go for meeting friends, shopping, eating easily. You can go to station by walk. You can run the riverside. Do meditation in the living room. Some of member loves organic life. We have drone, VR, crypt currency… Feel the future. We have examination to join us to keep our community better. We use slack for group communication. You can have advice for your life and travel. We have professional counselor. A lot of our family studied other language. It’s nice for practice. No waste of time to contract electricity, gas, water. No need to spend furnitures and electrical appliances. U23 is established in Toronto since 2003. Be part of our history. I cannot sleep with any noise. I cannot forgive other’s fault. I don’t clean up after I use kitchen, bath.